J. Murdock is Associate Pastor at Boulder Adventist Church. In addition to supporting the overall ministry also leads in Live Intention (18-24) and Live Creative (24-34). A graduate of La Sierra University with B.A. in Religious Studies (2013) and is in the process of completing his Master of Divinity degree from the Theological Seminary at Andrews University. 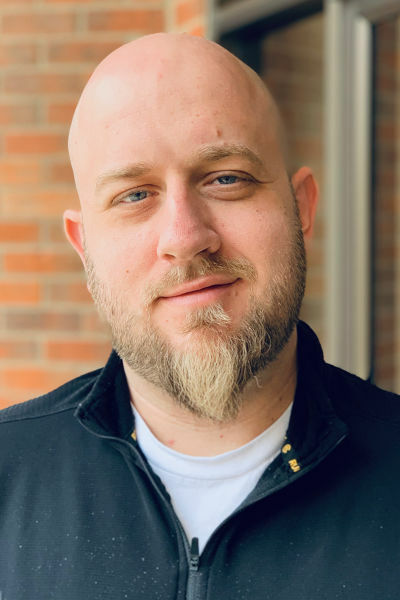 J. recently served at LifeSource Adventist Fellowship in Denver where he worked as the Associate Pastor for Administration and Youth and Young Adult Discipleship. Before coming to Colorado, he worked as Administrative Pastor for the One Place Fellowship held on the campus of Andrews University and as the Associate Youth Director for the Loma Linda Chinese Church in the Southeastern California Conference. He has been a Student Chaplain for La Sierra University, Middle School, High School, and Collegiate Sabbath School Director for La Sierra University Church and the One Place Fellowship, Student Missions Coordinator for Campus Ministries at Andrews University, Religious Vice President for the Student Association of La Sierra University, ACF Coordinator for the University of Colorado at Boulder, and generation One Director for the Seattle and San Diego gatherings. While studying at La Sierra University, he was introduced to improv theater which sparked a lifetime of laughs and comedic outlets across the nation. J. has created improv groups in California, Michigan, Washington DC, and Colorado. In returning to Boulder, J is very much looking forward to setting the scene for improvisational art to grow in the city and to bring people from a different background into our space to live and thrive on and off stage. J. is married to Rebecca (Barceló). Between he and his wife, their multi-cultural families have lived in California, Michigan, Puerto Rico, Massachusetts, and Connecticut but are looking forward to settling into Colorado and growing deep roots.